I wasn’t familiar with India’s GODLESS until Swarm landed in my inbox via the band’s publicist. Formed in 2015, GODLESS has to its name one EP — Centuries of Decadence — which was released in 2016. The good news is that Swarm — out on October 27th — is absolutely strong enough to make me go back and check out what I could find on the band’s previous effort. This newest EP is a convincingly rabid slab of classic-styled death/thrash, leaning on both halves of that equation in equal measure, and doing so to very fine results. Operating well within the death/thrash paradigm and trying no artistic detours, Swarm succeeds on two fronts, both of them equally important. Coming straight down the middle of the stylistic pike, it overcomes its potential for lack of identity through the tried-and-true combo of sharp riffs and unbridled energy. From the opening of “Exordium” onward, it’s clear that the band is set to kill – guitarist Ravi Nidamarthy rips through tremolo-picked thrashers with ferocious abandon, and the rhythm section of Abbas Razvi (bass) and Aniketh Yadav (drums) propels everything forward with maniacal force. Perhaps it’s due to GODLESS’ relative youth, but there’s a whip-cracking electricity that runs through these tunes, a tightly-wound speed that isn’t chaotic, isn’t ramshackle, yet teeters against the edge of it, and that boundary-pushing puts the whole of Swarm a step above when it comes to headbanging glory. It’s the power of the young, the energy, the attitude, but it’s reined in and controlled by just enough, tempered. At its heart, GODLESS’ thrash is Teutonic speed with a toned-up tightness, pushed forward into the violence of first-wave classic death metal. Rapture slices; they dice; they groove; they pummel, and all with razor-sharp riffs delivered with a practiced skill that belies their age. 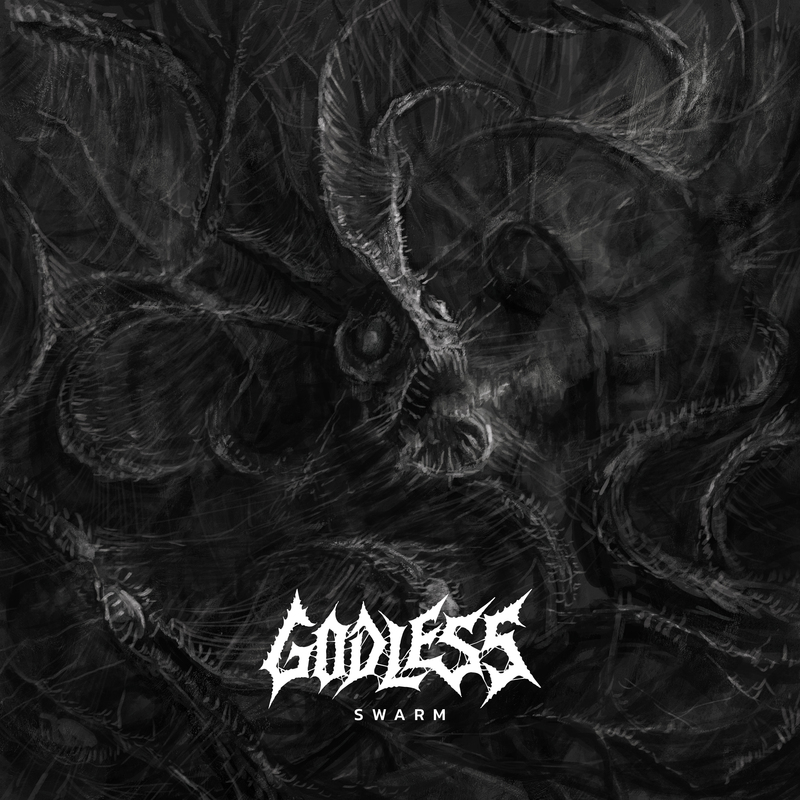 The previous GODLESS EP exhibited those traits, as well, but where Swarm stands above its predecessors is in the vocals. On the previous effort, Kaushal LS’s voice was more bark than bite, whereas now he’s adopted a much more feral and fitting snarling growl. It’s a simple shift, but it bolsters the former element of the death / thrash mix, and it helps give Swarm additional menace. It’s what pushes across the line between early Sepultura’s ferocity and Insanity’s madness, between Kreator’s chaos and Death’s bloody, gory, screaming perfection. “Infected by the Black” spits riffs with glee, before dropping down into an Exodus-worthy groovy middle section, one of the EP’s first and most prominent moments of straight-ahead Bay Area-styled thrash. Conversely, the deep-growled tail of the lead single “From Beyond” exhibits the EP’s most outright death metal leanings, and “Deathcult” mines a more Polish-styled madness. There’s merit in each of five (technically four) songs. 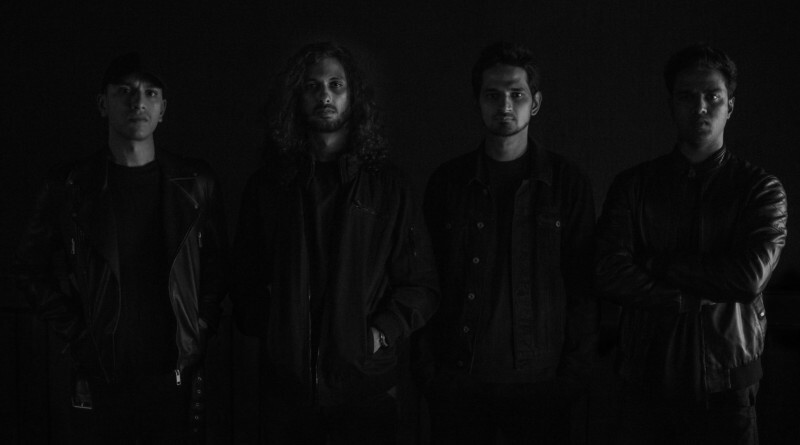 Closing “Empty Graves” breaks forth with more classic thrashing in the introductory section, holding its swaggering riffs together with twisting turnarounds courtesy of former Obscura guitarist Tom “Fountainhead” Geldschlaeger. At the end of the day, we all listen to metal for a variety of different reasons, but I’d be willing to bet that the energy that comes from a good fast and furious thrashing is enough to move most of us, even if it’s one that falls in line with most of its stylistic brethren. If you’re in that majority, and if you enjoy the all-powerful combination of riff and fury, then Swarm is one for you. Turn it up and thrash away. Swarm is out on October 27th; pre-order here.